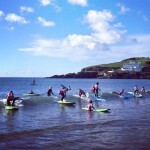 The Man with the Hammer - A Guide For Cyclists - The Muscle Clinic | Remedial and Sports Massage Plymouth . In cycling folklore, the man with the hammer is a mythical figure who waits around the next bend, or halfway up a steep hill and will hit you hard with his hammer. The effects of the blow come on suddenly, causing a total collapse of both body and mind. Most endurance athletes will be familiar with the ‘wall’ when a perfectly good race will be ruined by a sudden onset of extreme fatigue. Our energy levels are depleted and every muscle in our body is shouting ‘stop’. The man with the hammer is a significant step up from this and is caused by the unholy triad of glycogen depletion, dehydration and a failure of thermoregulation that can rapidly become a medical emergency and can cause collapse and even death. Glycogen is a polysaccharide of glucose that serves as a form of energy storage. It provides the fuel your muscles need to work. Unfortunately the body can only store a certain amount of glycogen (up to 2000 calories worth). So you need to make sure your glycogen stores are full before setting out. This is known as ‘carb loading’ and requires you to increase your intake of high quality protein and carbohydrates, such as rice, oats, chicken, salmon and beans for up to three days before the event. This will last you about 90 minutes, so it’s also important to take in fast-release energy during the ride itself. Sports drinks, energy bars and dried fruit are great for this. Dehydration occurs when your body loses more water than it takes in. When we lose too much water (more than about 3 or 4%), the balance of minerals in our bodies becomes upset. Symptoms of dehydration include being thirsty, having a dry mouth, feeling lightheaded and loss of strength. Extreme dehydration can cause hallucinations, heatstroke and collapse. So what can you do? Don’t wait until you’re thirsty – drink before you start, and little and often from the beginning of your ride, and take a few good gulps every 10-15 minutes. Plain water is fine for rides of up to 60 minutes, but for anything longer than this you will need to replace the electrolytes and carbohydrates that you have lost. The best thing to do is experiment with different sports drinks and find one that suits you. Its essential to rehydrate after you have finished the ride. In recent research, milk has been shown to provide more effective rehydration after the event than sports drinks or water, due to additional energy, protein and sodium it contains. In a road race pacing isn’t easy because tactics and team strategy complicate the issue but in a straightforward ride for a PB or a long training session finding the optimum pace can help avoid the man with the hammer. 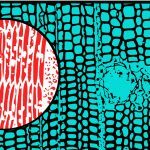 It’s tempting to set off quick and put a few miles in the bank for later but unfortunately you’re actually burning through your available energy store proportionally quicker and will burn out much sooner. Here is one interesting statistic from the world of running. Every world record distance event had been set by running the first half of the race slower than the second half. Physical exertion in hot conditions can generate heat beyond the body’s ability to cool itself. Natural cooling mechanisms such as sweating are not as effective in high humidity. Alcohol and stimulant drugs such as amphetamines also reduce the body’s ability to cool itself. If you are going to be cycling for an extended period in a hot climate, give yourself time to acclimatise. This is more than a psychological adjustment. The body’s salt content of sweat and urine decreases as people acclimatise to hot conditions. 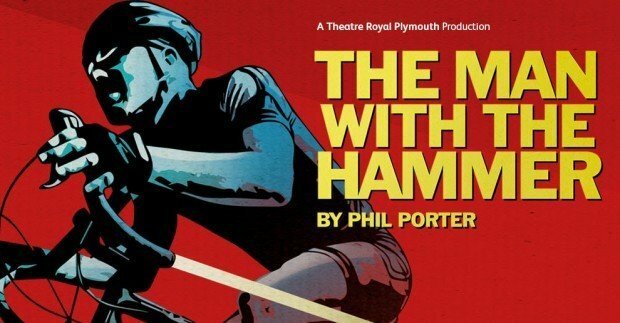 The Man with the Hammer is a new play currently showing at the Theatre Royal Plymouth. It’s a uniquely physical piece of theatre, in that the three actors spend the entire play cycling. Here at The Muscle Clinic we are giving massage treatment to the three actors to help with their challenging and unusual training regime. 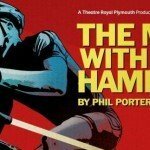 The Man with the Hammer is unlike any play you’ve seen and is well worth a trip to the theatre. It is showing at the Theatre Royal Plymouth until March 26. It is written by Phil Porter and stars Timothy Chipping, Jonny Holden and Harriet Slater. Our next blog will look at our addiction to pain and the body’s response to it.